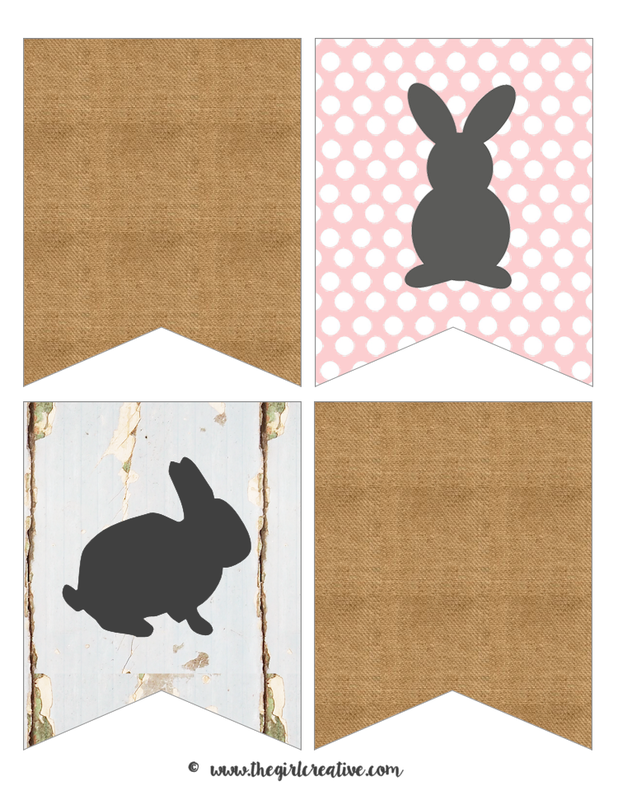 There’s still time to add some Easter decor to your home before the big day arrives. This Printable Bunny Banner is the perfect way to make your home look festive without going overboard. My holiday decorating for the past few months has been horrible. For whatever reason I haven’t been in the mood. 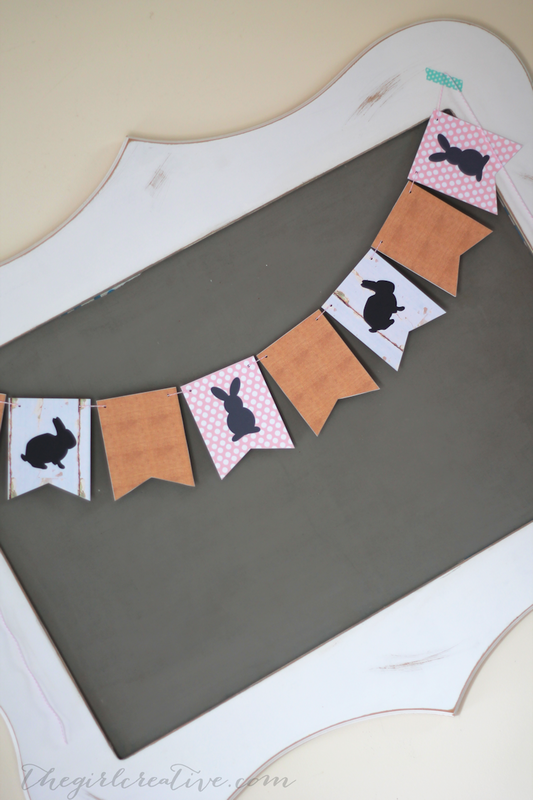 I had a bunch of adorable ideas for Easter but time got away from me and the only Easter decorating that happened was this Bunny Banner that I designed a few weeks ago. We have this great bulletin board that I made a few years back hanging up in our kitchen. It’s perfect for hanging wreaths or banners like this. Comes in handy when I’m decorating the kitchen for our birthday boy and girls. And it’s the perfect way to help make our home look a bit more festive for Easter. 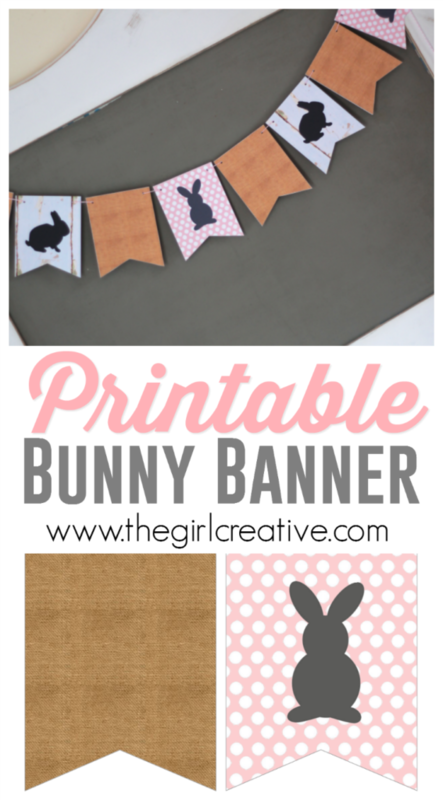 The bunny banner printable is just one sheet. 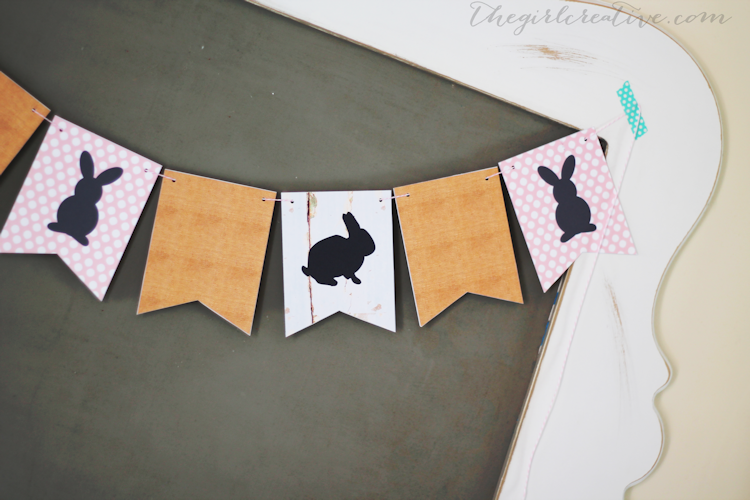 There are 2 burlap pennants and then one each of the pink and white polka dot and the distressed wood pennants. I printed out 2 sheets to make the banner I have shown here. You can print out as many sheets as you need depending on the length you are going for. I always string my banner with the long part of the string on the back of the pennant so that I can secure it with a little bit of washi tape. And I hang it up with washi tape as well. It adds to the cuteness, I think.